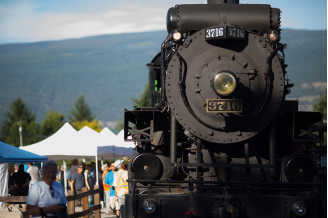 All Aboard for your 90 minute journey on this historic Okanagan railroad. Stop and view the highest trestle bridge built on the original line: vintage engines, passenger and open air coaches, conductor commentary, live music, artifact displays, gift shop, concession, picnic shelter and wheelchair accessible. Groups and charters welcome. For free brochure call 1-877-494-8424.